Bluetooth is the miniature wireless transmitter and receiver used as an interface to access LANs, PSTN, Mobile network and portable handheld devices. Bluetooth can communicate with the Bluetooth enabled devices through a short range network called ”Piconets”. When the Bluetooth enabled device enters the proximity of the piconet, it establishes connection with the Bluetooth. It is very useful for hands free communication in hand held devices. 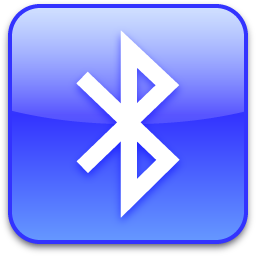 The technology of Bluetooth was named after Harald Blaatand Bluetooth II, the king of Denmark. The technology of Bluetooth was invented by L.M.Erricson in 1994. The technology provides a universal bridge to data networks and it forms a mechanism connecting small private groups of connected devices away from the fixed network. The Bluetooth system is a short range or medium range radio link capable of digital transmission and reception of datas and voice signals up to 720 kbps per channel. In short range communication, maximum range will be 10 meters while in medium range communication, it can go up to 100 meters. The transmission is in the unlicensed 2.4 to 2.48 GHz band using methods like spread spectrum, frequency hopping and full duplex signals. The transmission rate is around 1600 hops/ second. The signals hop among 79 frequencies at 1 MHz to offer high immunity against interferences. In short range Bluetooth communication, the RF output is specified as 0 dBm (1 watt). In long range communication, it is -30 to + 20 dBm (100 watts). 2. Base band and Link manager protocol (LMP) – It is above the base radio layer and control the link between the Bluetooth devices. 3. Host controller layer – This links the Bluetooth hardware to the upper Logical control and Adaptation protocol or L2CAP. In most of the Bluetooth devices, a Bluetooth enabling device is added as a separate card. For example, in a laptop, this can be in the form of a PCI card or USB adapter. The data to be sent to the LMP (Link Manger Protocol) and base band travel through the USB. A driver is required in the Host device like Laptop and a host controller in the Bluetooth device to establish connection and to transmit / receive datas. 1. The Link Manager Protocol (LMP) uses the technique called “Service Discovery Protocol or SDP” to detect whether service is available from the access point or not. 2. When the service is available, the Bluetooth device creates an L2CAP channel with the access point using the information present in the SDP. 3. Then an RF COMM channel is created over the L2CAP channel depending on the application. 4. The access point will then send a security request for connection. If the user knows the security PIN code, access will be allowed. The PIN code will not be transmitted through the wireless line, but a key generated is used to identify the user. 5. The network protocols like TCP/IP, IPX, Apple talk etc then send and receive the datas between the Bluetooth and the host device using the link. what about this? what if you were to create a awesome post title? suppose you added something that grabbed a person’s attention? people excited about what you’ve written. Just my opinion, it would bring your blog a little bit more interesting.